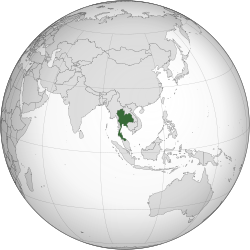 ↑ ១,០ ១,១ Thailand Archived 3 July 2015 at the វេយប៊ែខ ម៉ាស៊ីន., The World Factbook. ↑ (ថៃ)​ National Statistics Office, "100th anniversary of population censuses in Thailand: Population and housing census 2010: 11th census of Thailand". popcensus.nso.go.th.